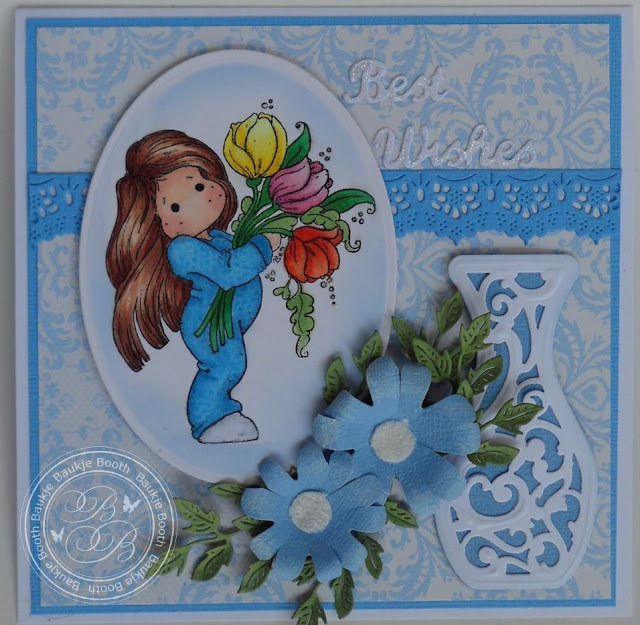 Tilda was coloured with copics and the vase, the border, the Best Wishes and flower dies are all available from Fat Cats Card Corner. 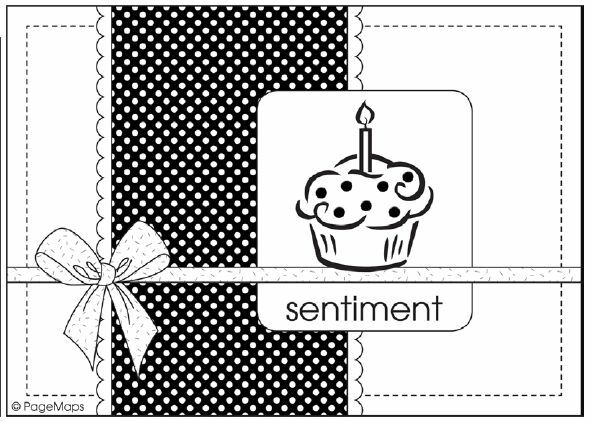 A simple little card today with a handmade background. I used the stencil from the Nellie Snellen's Pontura products, and some Aleens Glitter Snow, unfortunately you cant see the texture or supple glitter that the background has in the photograph but it's there and I'm very pleased with the result . 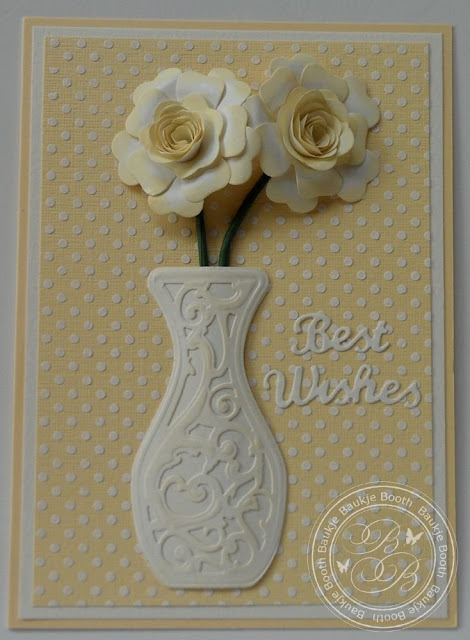 The vase is Spellbinders Filigree vase and the flowers made with Die-namics Mini Hybrid Heirloom Rose. Best Wishes is an Elizabeth Craft Design Die. 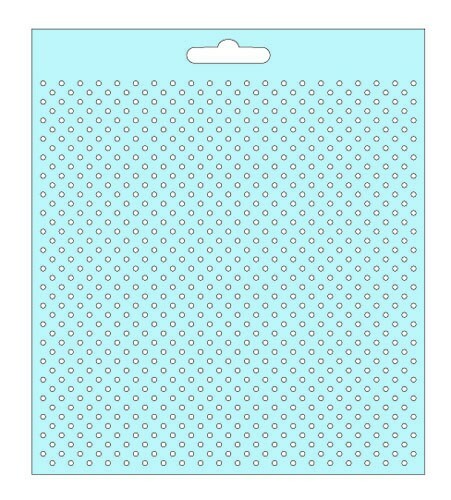 I made this card following a card map/sketch, which is such a good idea when you get stuck on how to set out your card once you've coloured an image or made some flowers. 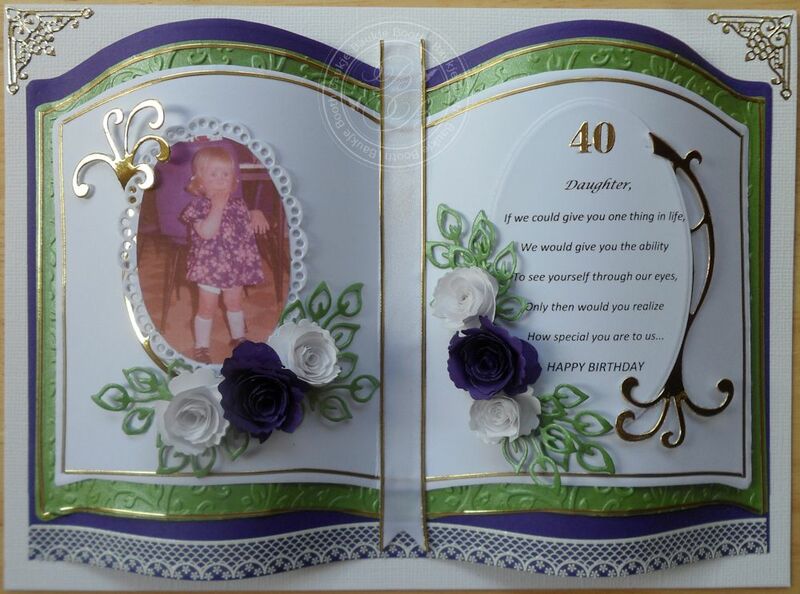 I made the flowers with the Die-namics Royal Rose Die, leaves are a Marianne Creatable Die. The heart I made by cutting the hearts with the Spellbinders heart die and folded them in half and then glued one side together. 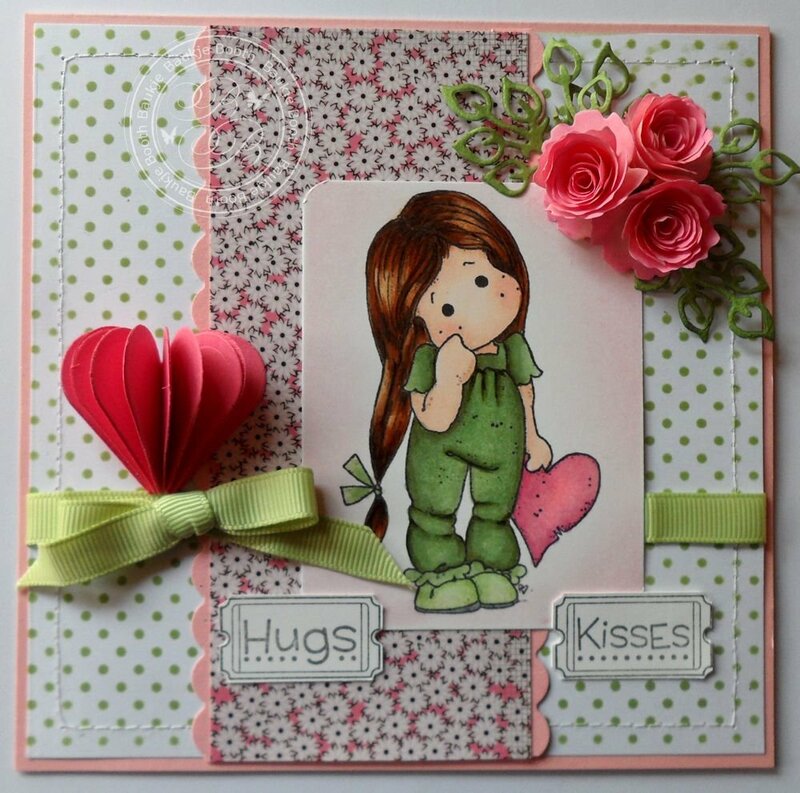 The very talented Jennifer McGuire has a tutorial here using an apple die. I am so very sorry if you have been trying to leave a comment on one of my posts and haven't been able to unless you signed up to Google Plus, I have been trying to fix the problem and think I have finally been able to. The problem was I removed my Google Plus account but didn't disable Google Plus comments before doing so and couldn't do it after, so I had to sign up to Google Plus again, wait until this morning so I could disable Google Plus comments and now I'll have to remove my Google Plus account again and hopefully there will be no more problems leaving a comment. Thank you so much for hanging in there with me: I hope you all had a lovely weekend. I think we are slowly getting back to normal here at home after John's surgery and Kathy's 40th Birthday party with family visiting. 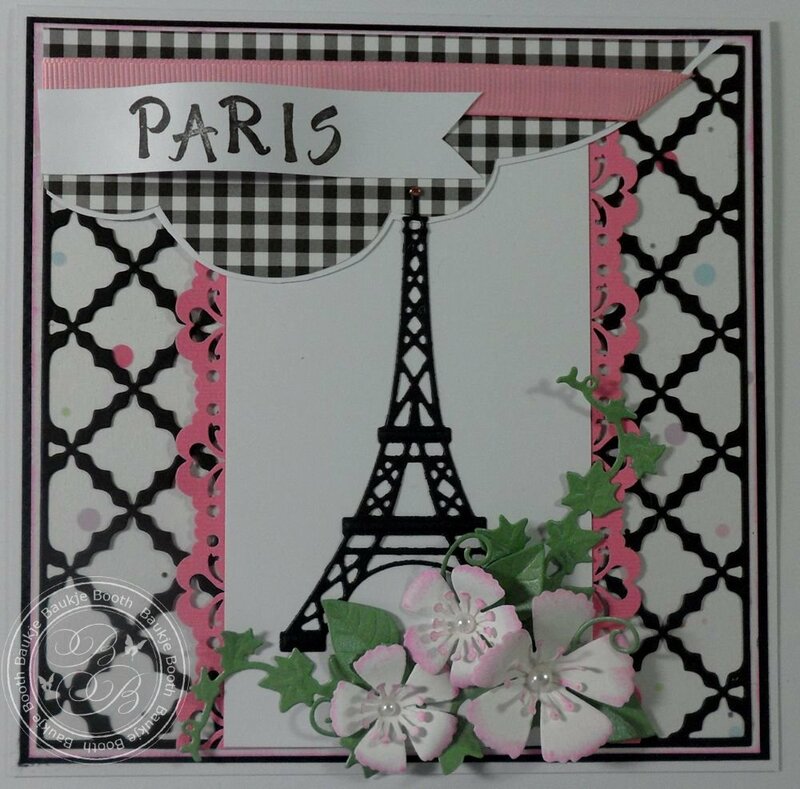 Paris was made with the Cheery Lynn Small French Lattice Die. Marianne Design Craftable Eiffel Tower. I'm not sure what is going on with being able to comment I'm sorry you have to sign into Bloglovin to do it I really appreciate you taking the time to leave one though. 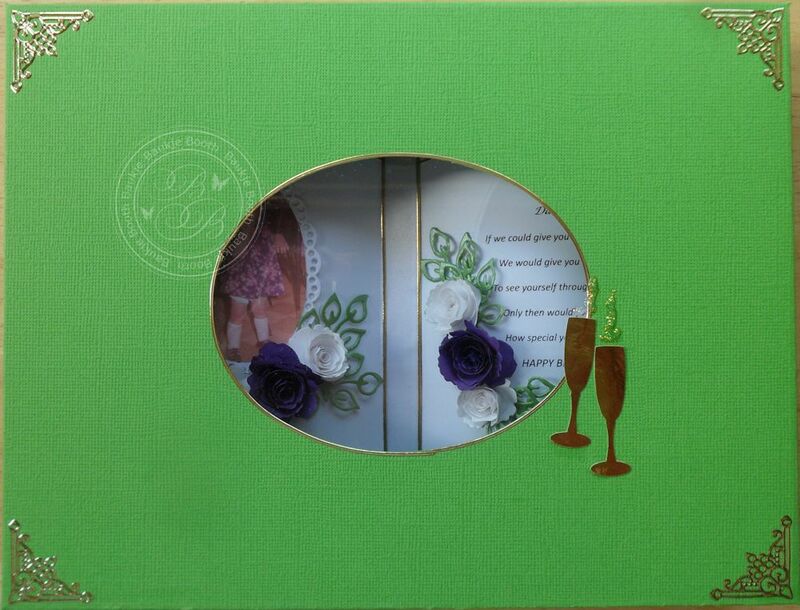 Our beautiful eldest daughter Kathy turned 40 last month, I made her a bookatrix card and matching box.